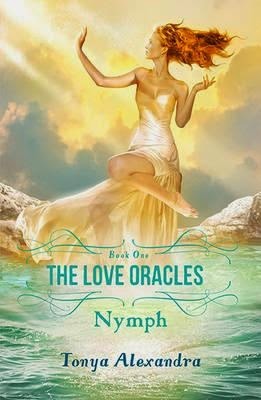 A fantasy tale written much like a Mills and Boon romance, Nymph is a delicious tale of forbidden love between a star nymph from Olympus and a mortal. Merope is the star nymph, the youngest of the Pleiad sisters. She is being pursued by Orion to become his consort, but she refuses to comply. Escaping to modern day Earth with her uncle Prometheus as her protector, she believes that she can distance herself from these unwanted advances. Earth life, language and technology are challenging. Merope fights hard to keep her identity a secret at school where ‘life never reads the same script as we have prepared’. Her beauty attracts Lukas whose imperfections and gentle characteristics - virtues lacking in the vain, perfect gods - steal her heart. Can their love conquer the opposition, or will Zeus’ law separate them forever? There is the usual game of avoidance, pretence, longing and misinterpretation which fails to douse the couple’s fire. Merope agrees to return to Olympus to visit her sisters, but blinded by love, she can’t see the real reasons behind this offer. This first story in a trilogy, will delight readers with its blend of old fashioned romance, Greek gods and goddesses, lots of mythology and a good strong story line. You’ll love the characters, even when you hate the gods’ smug vanity, and their belief that females exist for their pleasure alone. Filled with humour, lots of laughs will be had as Merope tries to fit into the modern world with her ancient upbringing and principles.